In June, MoMA in Midtown New York closes for 2 years to undergo extensive renovations. 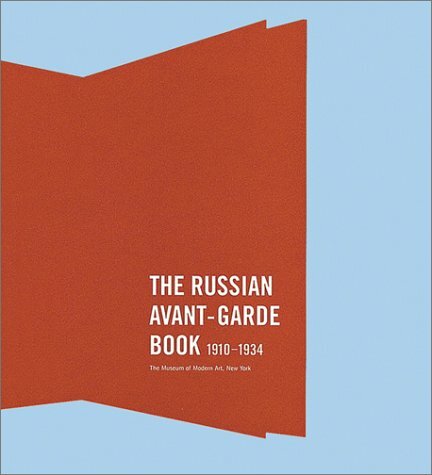 The final exhibitions, still on view as this is being written, are the monumental Gerhard Richter retrospective (Cat# PK734H, $75) and the Russian Avant-Garde Book show. Neither should be missed. But if you do miss them, buy the catalogues. The Russians featured in the book show-including El Lissitzky and Alexandr Rodchenko-were phenomenal photographers, designers, and dreamers. The excitement engendered by the pure enthusiasm and hope for life that was so redolent at the beginning of last century is nearly palpable when wandering around the displays at MoMA, as well as by flipping through the pages of this handsome catalogue.